Member of Black Sash, imprisoned for attempting to undergo military training. Caesarina Kona Makhoere was born near Pretoria in 1955. Her father was a policeman and her mother worked as a domestic worker. At a young age she was forcibly removed in terms of the Group Areas Act and relocated to Mamelodi with her family. During the next several years, she attended Vlakfontein Technical High School, where two-thirds of the teachers were members of the South African Defense Force (SADF). In early 1976, the authorities decreed that classes throughout South Africa were to be conducted in Afrikaans. With several of her classmates, she sought military training in order to resist this legislation, but plans failed when one of the group members informed the authorities. Caesarina was forced to go into hiding, and it was her own father who revealed her hiding place to the police. She was arrested in October 1976 under the Terrorism Act, and held for ten months in the Silverton Police Station near Mamelodi while awaiting her trial. In 1977, she was convicted for attempting to undergo military training. She then spent two years in Kroonstad Prison, two years in Pretoria Central Prison and one year in Klerksdorp before her release in October 1982. During her first year at Silverton, Caesarina learned from another prisoner, Mama Dorothy Nyembe, of the long history of women's resistance in South Africa. After her release, she worked for the Black Sash counselling victims of discriminatory laws and detention. 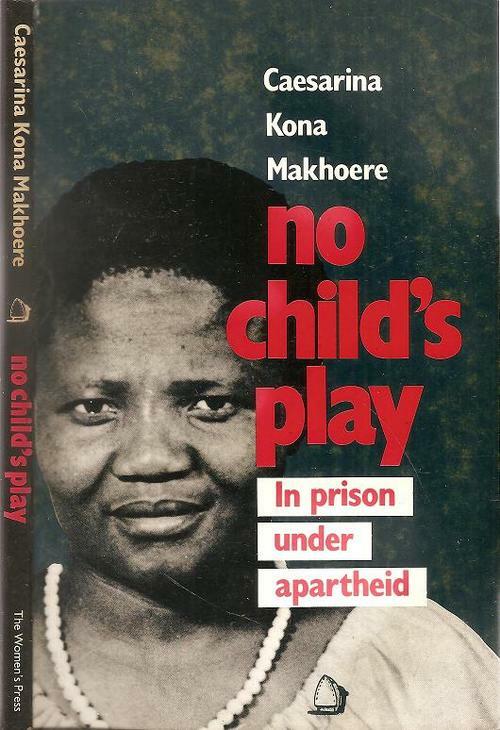 Makhoere wrote a book about her experiences in prison, entitled No Child’s Play: In Prison Under Apartheid(1988).